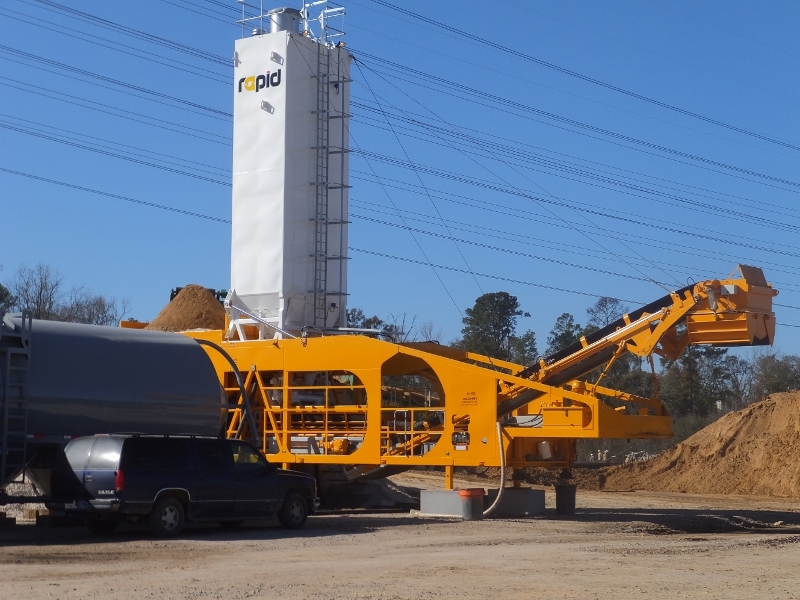 Northern Ireland based Rapid International in partnership with their American partner Rapid USA Inc has successfully supplied three mobile continuous mixing plants for the State Highway 99 Grand Parkway in Houston Texas (USA). The Rapidmix400CW high volume mobile continuous mixing plants were supplied to Parkway Builders. Fully mobile and self contained, the Rapidmix400CW offers a complete plant powered by its own power source, with on-board compressor and generator. Fitted with a self erecting system, using hydraulics, the plant can change from travel mode to fully operational within a few hours. The Rapidmix 400 CW mixes up to 400 Tonnes per hour depending on application and provides feed rates that are fully adjustable for the aggregate, cement and water systems. The recently updated unit incorporates full weighing options for all materials – aggregates, cement and water, which means the new generation Rapidmix 400 CW offers record keeping that is automated, precise and detailed. The Rapidmix is an ideal solution for a wide variety of applications, including – Roller compacted concrete (RCC), Cement Bound Materials (CBM), Bentonite Enriched Soils, Coldmix bitumen emulsions, Contaminated Land Treatment and Recycled Asphalt Paving (RAP). The Texas Department of Transportation (TxDOT) approved the award of the project segments F1, F2 and G. These segments total approximately 37 miles in length running through Harris and Montgomery Counties. The project consists of more than 50 bridges, frontage roads and associated drainage, as well as utility infrastructure. The overall Grand Parkway is a proposed 180-mile highway crossing seven counties in the Greater Houston Area. Zachry-Odebrecht is the design-build joint venture that assembled a team with deep engineering and construction resources, significant local knowledge and experience, and complex transportation project experience to design and build the Grand Parkway segments. The team challenged its design and construction members to develop a design and project approach that is innovative and tailored to meet TxDOT’s needs. The result is a value-added concept that brings technical solutions and cost reduction through the implementation of alternative technical concepts. Zachry-Odebrecht will create more than 800 direct local jobs throughout construction. Based in Commerce City, Colorado, Rapid USA has been the exclusive American partners for the Rapidmix machine for nearly 20 years. 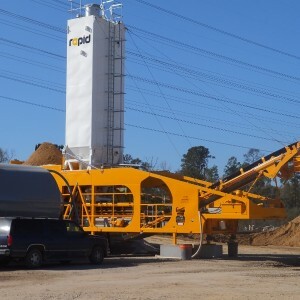 RAPID International USA is a long established company, which specializes in mixing equipment for the paving, civil and environmental contractors. Zachry-Odebrecht Parkway Builders is a fully integrated joint venture strategically aligned to bring TxDOT a team of design-builders with local and international resources. Rooted in 85 years of experience, Zachry Construction Corporation was formed in 2008 in a realignment of the Zachry family enterprise. We value our reputation and successes in leadership by CEO David Zachry’s grandfather, H.B. “Pat” Zachry, and father H.B. “Bartell” Zachry, Jr. The company’s legacy includes more than 5,500 public and private sector projects across the country and around the world. From the Dallas “High Five” Interchange to the U.S. Embassy in Moscow, Zachry Construction Corporation builds structures that matter. Zachry has pioneered techniques that have become the standard for today’s heavy and building construction. Zachry’s strong financial position and innovative private / public partnerships compliments our extensive capabilities to build and maintain complex facilities and infrastructure for our clients. For more details, please visit www.zachrycorporation.com.